We’re an award-winning social media management and training business. If you’re looking to take your social media to the next level, our results-driven focus will help you boost your online presence, build brand awareness, and grow your business. As every business is different, your social media needs to align with your business objectives if you want to see real results. Led by Karen Cureton, who has a strong background in sales and business, we offer personalised, strategic advice specifically tailored to your needs. Why not see for yourself how we can help your business to grow? Contact Karen for a chat and a no obligation quote. And, if you like the sound of what you hear, we’ll arrange to meet up, so we can really get under the skin of your company. Then we’ll go away, scratch our heads, and work how we can tailor our services to best help your business, whether that’s through social media training, management, or sales training. Having experienced the severe drop off in social media engagements, and therefore business after my 1st pregnancy, I hired Karen to look after my social media whilst on maternity leave for the second time. She’s so sympathetic to your brand, spot on with strategy suggestions and regularly in contact about connections and messages that need immediate attention. I’ve got amazing visibility and I don’t have to spend the next 9-12 months rebuilding my social media platforms once back to work. I’m so pleased with the job she’s done that I’m retaining her services after my return to work. Working with Karen is an astonishingly relaxing business. She has a talent for communicating the things you need to improve without making you feel like an idiot-a problem with lots of tech-y types who want you to feel you need THEM. She took me through my internet presence and showed me ways I could improve the way i present myself and the way I communicate with my ideal customer. Karen has delivered social media workshops at our Innovation Centres across North Notts and they have been very well received – Karen has the knack of getting her audience’s attention, the workshops are interactive, thorough and fun! We have all taken a great deal from these session – thank you Karen, you really are a Social Media Ninja! I first met Karen Cureton when a business coach recommended her to help me with gaps in my social medial. We later connected again at a number of social and networking events. She really seems to know everyone. 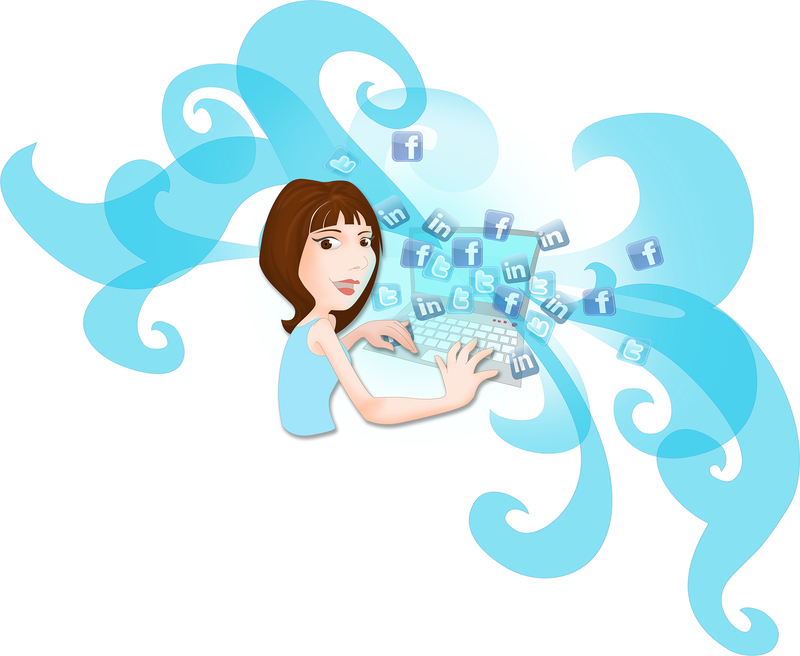 I approached Karen to give me an overview of my social media and help me put together a social media strategy. I’ve been very good at posting nice pictures but she’s very much helping me to understand how to maximise the conversion from social media engagement to paying clients. In the couple of hours we spent together she helped me to understand the best way to use social media to connect with people. How to make the most of the different social media platforms and what the benefits of them are. I now understand the point of hashtags and realise there’s no benefit in spreading myself too thin. Karen was friendly, professional, incisive and gave me top quality information that has already seen a big increase in reach despite the changes in the Facebook algorithms. I felt like i was having a cuppa with a friend but very quickly learned a great deal. After our meeting she sent me a document summarising our conversation and with a number of useful apps suggested. I loved working with Karen and I’m seriously considering whether to engage her to take over my social media entirely. I’d recommend Karen’s services to any business owner, however large or small and however great they think their social media is. She’s an expert in customer service as well as social media and goes the extra mile to understand the needs of your business. I guarantee she will have something positive to add. Karen has been a valuable asset to the growth of the presence of Smith Partnership online using Social Media. She has worked hard and has been able to make a real change to the way we do business. I would not hesitate to recommend Karen to anyone looking to develop their network. Karen delivered excellent training on Social Media to the YMCA Senior Management team. She was well prepared, very detailed and gave a great overview of Linkedln. The staff found Karen’s style and approach was just right for their learning. I would highly recommend Karen. We have been working with Karen now for several years and her input into our social media on twitter and LinkedIn has been invaluable. Karen has helped us to establish a clear message which can be delivered on social media and helps us to plan our social media strategy on a monthly basis. A great example of Karen’s dedication to our strategy can be seen in the social media support we give to our clients, for example retweeting and conversing with our clients. We have most certainly seen a return on our financial investment into social media thanks to Karen. Karen’s excellent Social Media platforms made us aware of the impact that can be created by clear strategies. A delight to work with and benefits to our business was immediate, as our business model is bespoke and needed results quickly, the ongoing support is second to none and look forward in continuing to work with Karen. We have no hesitation in recommending Cureton Consulting to anyone needing Social Media tips and advice! I attended a Cureton Consulting Social Media workshop recently and wanted to formally feedback how useful the session was. Having been on similar courses previously I must admit I was a little sceptical as social media is something we are all familiar with. However, Karen’s excellent delivery style and passion for her subject, combined with a strong sales director background, meant that this far surpassed my expectations as it focussed on strategy as opposed to merely what social media is. The training would be useful for everyone from social media novices all the way through to marketing professionals and I would highly recommend Karen if anyone is after some social media training for themselves, their employees or their clients. I first met Karen at a networking event. Since then I have attended some of Karen’s presentations and I have found these extremely useful. Not only is Karen extremely knowledgeable but she also puts the information across in a simple and straightforward way so that those who are not social media savvy can understand. At the last presentation I attended, Karen provided the group with lots of great ideas. Like most people I went home with a ‘to do list’ however I didn’t know where to start. So I called Karen and she showed me how to work with Linked In. Karen made the process straight forward, giving me homework to do with very simple step by step instructions, so that I was not overwhelmed with information. I already feel like I have more confidence in using Linked In. I wouldn’t hesitate to recommend Karen to anyone who needed any help with their Linked In profile. I run a quirky little Sweet Shop in Ashby de la Zouch, I recently used Karen to help improve the Sales Confidence of my Part Time Staff and to boost their performance in the run up to Christmas. Well they certainly came back buzzing and raring to go, with a second meeting arranged to work with them on a 1 to 1 basis in the shop for a couple of hours as a reminder to the seminar my girls have flown through Christmas with exceptional confidence and we have had the sales to prove it to. Find out more and talk to Karen.